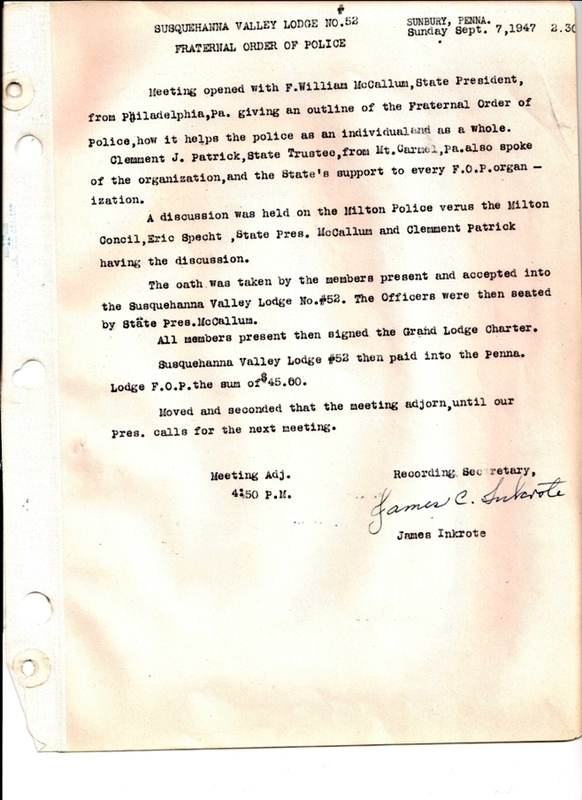 The first meeting of Susquehanna Valley Lodge 52 was held on Sunday Aug https://espanolfarm.com/comprar-priligy-generico/. 3, 1947 in Sunbury. 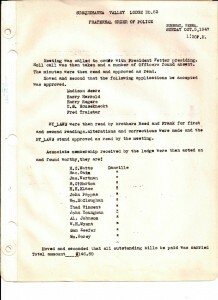 Lodge officers were elected at this first meeting. 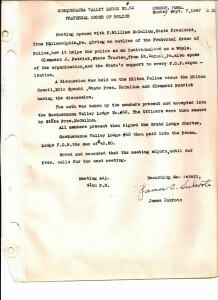 On Sunday Sept. 7, 1947 the 2nd meeting was held in Sunbury with State FOP present to discuss the benefits of the FOP. 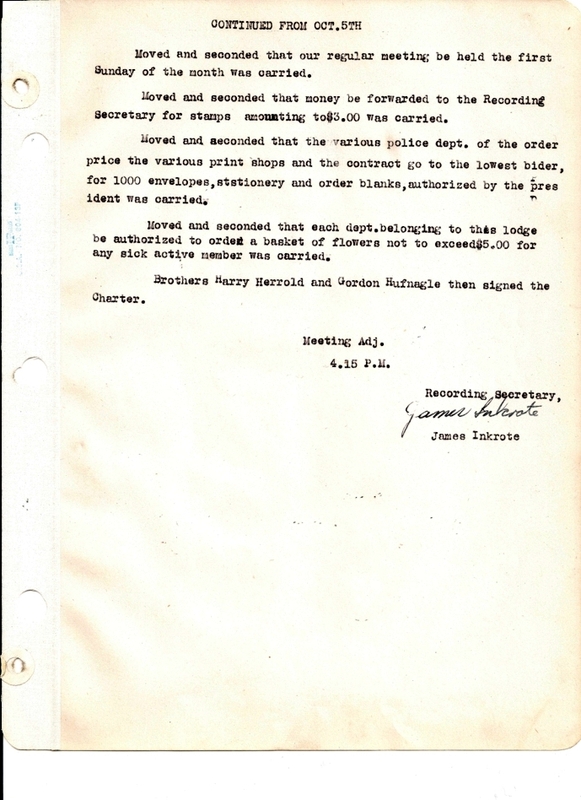 During Oct. 5 meeting also held in Sunbury the Lodge By-laws were read and approved for the first time. 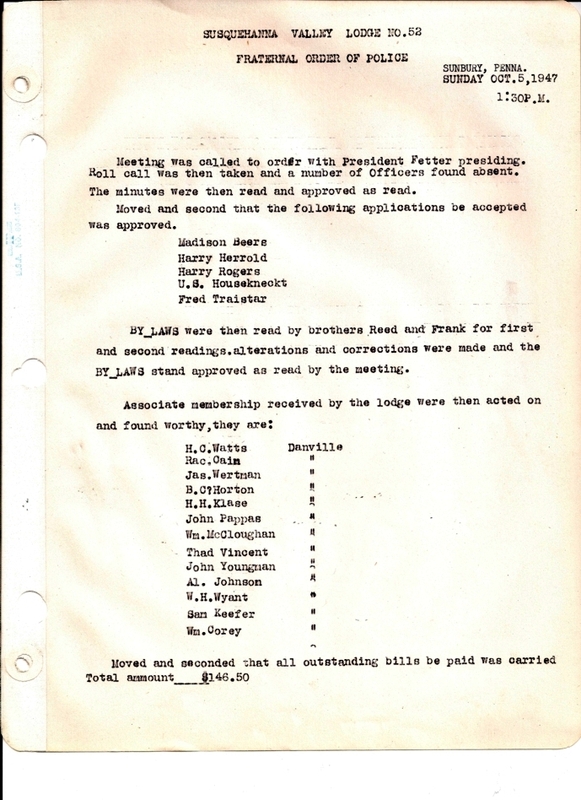 At this meeting they also decided that meetings would be held the first Sunday of the month. 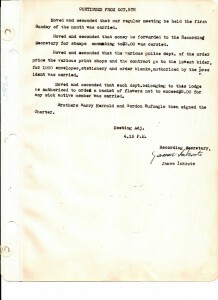 Then on Sunday 2 Nov. 1947 the By-laws were approved. 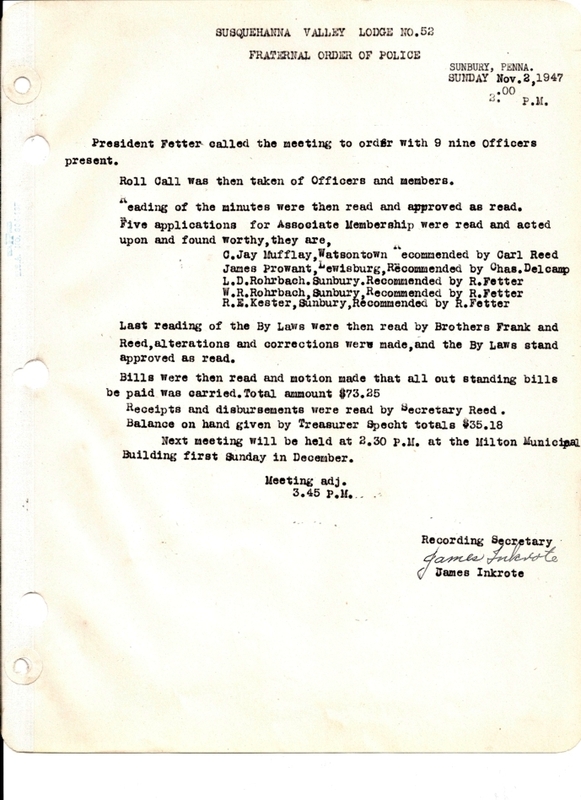 Our chapter’s first meeting minutes. 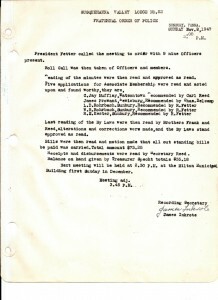 Click to view them full size.